Measuring for Vertical Blinds couldn’t be more straightforward. Grab yourself a metal tape measure, a pencil, a piece of paper (or our handy measuring template if you’ve have had a sample box from us), and you’re good to go. Step 3: Use the smallest measurement for the width and the drop when placing your order and don’t forget to select the ‘recess’ option. Hint: Check your window recess for any obstructions such as tiles or picture rails. If you do have an obstruction, make sure you measure off this point. A deduction of 5mm will be made to the overall width to ensure an easy, yet snug fit when you select the ‘recess’ option at the point of order. A deduction of 10mm will make to the overall drop to ensure no dragging along the window sill. 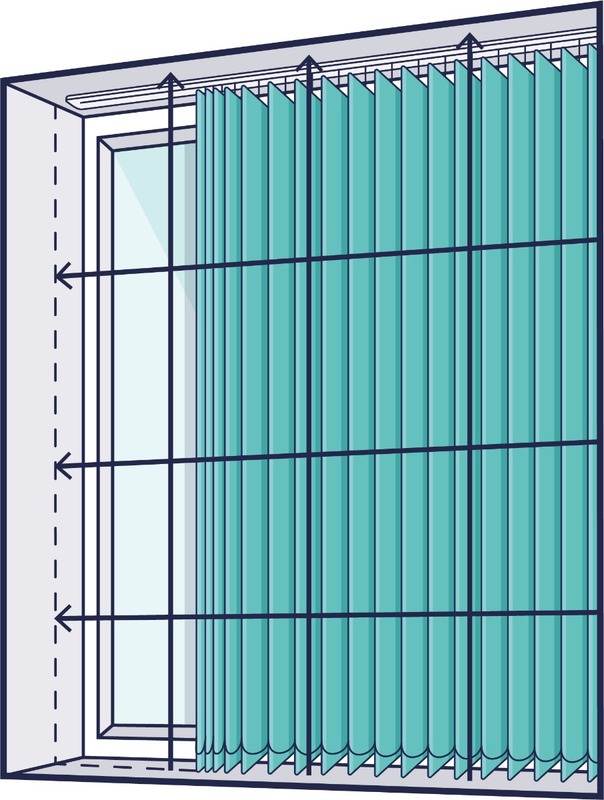 Step 2: Measure the outside of your window recess from the top to the bottom, from the height at which you want the headrail positioned, down to the point you want the bottom of the veins to finish. Step 3: When placing your order, make sure you select the ‘Blind Size’ option. 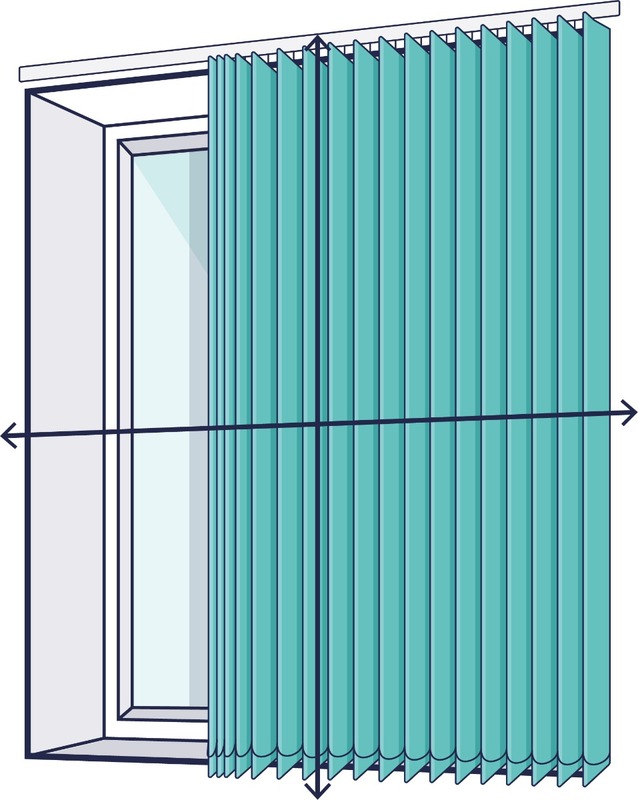 Hint: We recommend a minimum of a 70mm overlap past the window recess, that’s 35mm on each side. This ensures total coverage of the recess. Your new blind will bemade to your exact measurements with no deductions to the width, or the drop. Once you've got your measurements for your window, just head over to our Vertical Blind section to see our full range- dimout, blackout and waterproof all available!